A mysterious carnival rolls into the sleepy town of Green Town, Illinois one late October night. Thirteen-year old best friends and neighbors, Will Halloway and Jim Nightshade, must save their town and themselves from the seductive supernatural forces of Mr. Dark’s nightmare menagerie. 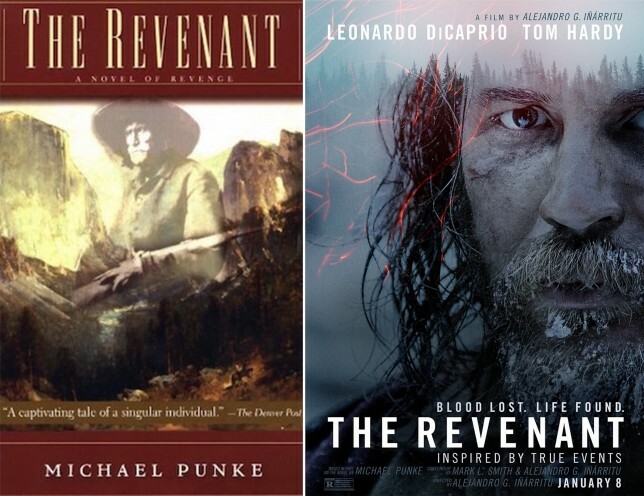 A trapper on a 1820s fur trading expedition fights for survival and retribution after he’s savagely attacked by a bear and abandoned by the men who swore to protect him. The Revenant isn’t the first book—or even movie—about Hugh Glass’s epic tale of survival. It was told as early as 1954 in Frederick Manfred’s Lord Grizzly, and then again in 1976 in The Saga of Hugh Glass by John Myers Myers. 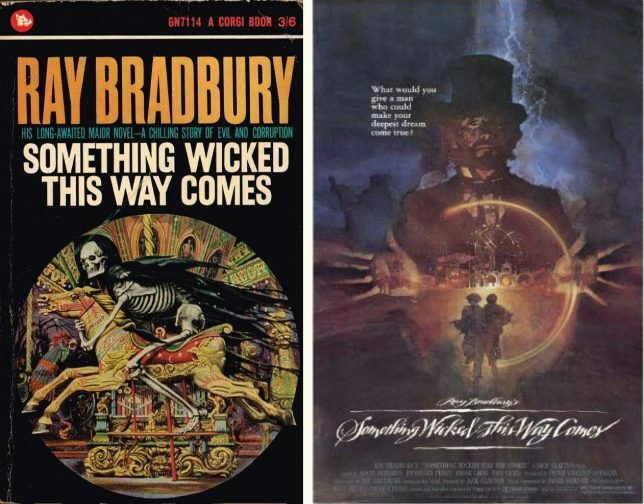 The story was also made into the 1971 film Man in the Wilderness starring Richard Harris. But while many of the facts of Glass’s life are known to be true—the bear attack, being left for dead by the two men looking after him—it’s still a story that, for the most part, is one of legend. A lone astronaut is stranded on Mars after a dust storm nearly kills him and forces his crew to leave him behind. Battling a brutal landscape where nothing lives, he must rely on his ingenuity and luck in order to survive. 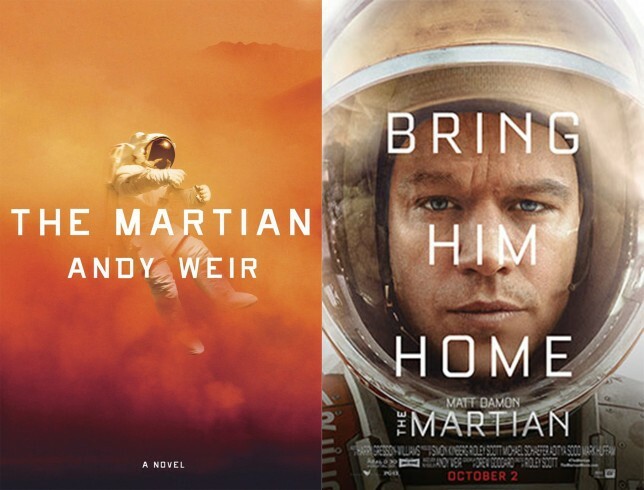 One of the things that made The Martian such a terrific novel was how Andy Weir deftly combined serious science with a suspenseful and human story. Science is crucial to the plot—Mark Watney uses his vast knowledge of chemistry and physics to survive–and Weir doesn’t shy away from the intricate details. I sometimes had to re-read passages to try to figure out what exactly Watney was doing with nitrogen, CO2 filters, and hydrogen fuel cells, not to mention keeping track of acronyms like MAV, MDV, JPL, EVA, and RTG, but it never distracts from the enjoyment of the book. Instead it adds a richness and authenticity to the story. But unless you’re planning a trip to Mars, you don’t need to understand all of the science to appreciate how Watney is able to use his training as a scientist to survive seemingly insurmountable odds. This is good news for the film, which doesn’t have the luxury of spending a lot of time on detailed scientific explanations. Matt Damon is good as Watney, the amiable rocket scientist you’d most want to grab a beer with back on earth. He’s the main character—being stuck on Mars alone—and the success of the film hinges on the audience’s ability to to identify with him and root for him. As he’s proved in the Bourne movies, Damon is a dependable everyman and an effective blank slate on which the audience can project itself. But I missed some of the irreverent personality that the character had in the book. As written by Weir, Watney’s an appealing smartass, and I couldn’t help but wonder what another actor could have done with his particular brand of gallows humor. I think Chris Pratt would have been perfect, but even if he was considered, it might have been too soon after Guardians of the Galaxy for the actor to shoot into space again. The rest of the cast is strong in supporting roles, particularly Jessica Chastain as Melissa Lewis, the mission commander who feels responsible for leaving Watney behind, and Jeff Daniels as Teddy Sanders, the NASA head who leads the effort back on Earth to bring him home. Watney uses a video log in place of the novel’s written log. It’s a clever way around the main structure of the novel, but you lose the intimacy you had when reading his logs and feeling like you were in the HAB right along side him. The book beautifully describes the vast and desolate terrain of the Mars’ landscape, but there’s something so thrilling about seeing those first shots of the jagged sandstone mountains and dusty plains. It’s easy to believe Ridley Scott jumped in his ship to film on Mars rather than use the copper-hued Wadi Rum dersert in Jordon as a stand-in for the red planet. I missed the tension of Mark’s journey to the MAV—the dust storm that NASA knows about but he doesn’t, the devastating tumble the rover makes down the hill, the sheer feat of the trip itself. I wished they had found time to include one memorable short scene from the book: Mark’s parents at home in Chicago watching the rescue unfold from their couch, along with a guy from NASA who’s clearly there in case things go south. Once they know the mission is a success, they all hug. 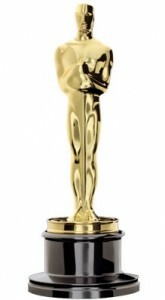 The film has Lewis tethered to the ship bringing Mark in, not Beck. I understand they wanted to give her something more heroic to do, but it was an unnecessary change and actually undercut her role as a commander charged with overseeing the operation—something no less heroic. The novel ends abruptly with Watney’s rescue by his fellow crew members, but the movie includes an uplifting new prologue in which see the characters adjusting to their lives back on earth. The crew are doing just fine after their two-year ordeal. Lewis is at home with her husband, Vogel’s reunited with his wife and kids, and Johanssen and Beck are together now with a baby. And in what amounts to a love letter to the space program, Martinez is preparing for another mission and Watney is now imparting his wisdom to a new generation of aspiring astronauts. 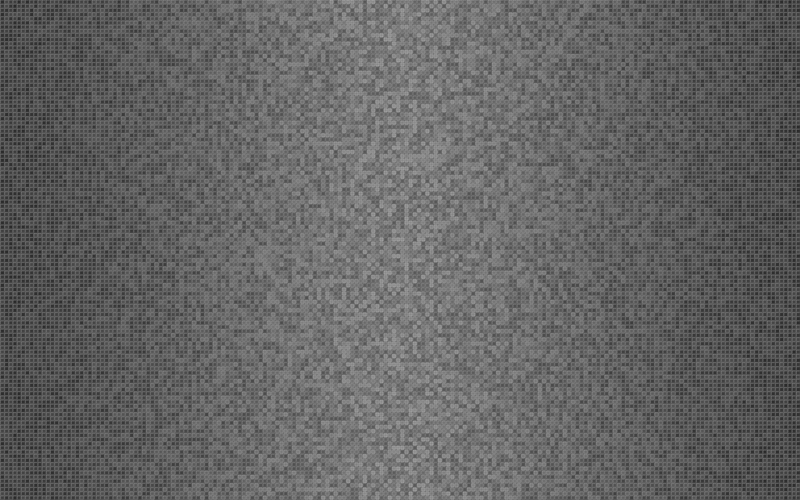 Now with 30% more running! One of the advantages a book has over a movie is in its ability to be more complex, to have the time and space to explain something that would be difficult to convey in the span of around two-hours. 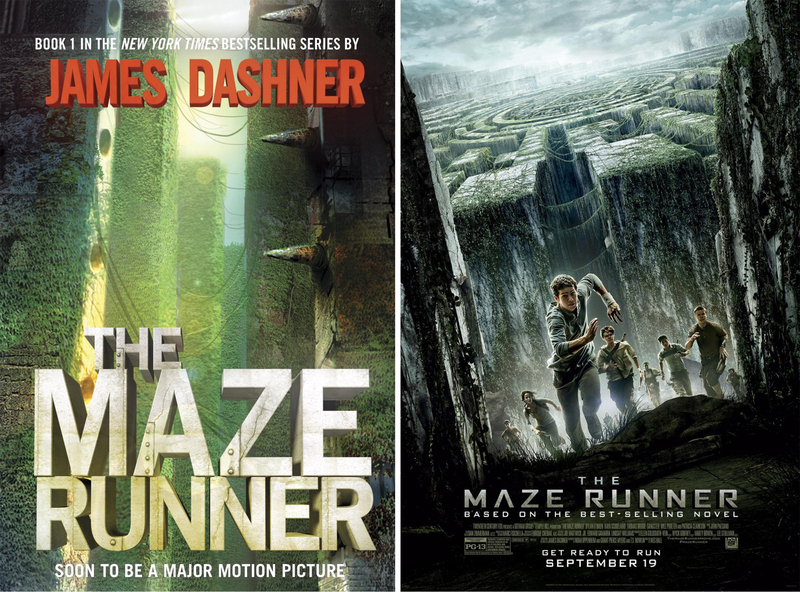 But The Maze Runner film has speed on its side. Director Wes Ball deftly strips away the more labyrinthine elements from James Dashner’s engaging novel and streamlines it, creating a quick-moving and visually arresting film that improves on the book. THE PLOT: A teenager wakes with no memory to find himself trapped within a mysterious walled colony populated solely by other amnesiac boys and surrounded by a deadly and seemingly unsolvable maze. THE OPENING: The first five minutes of The Maze Runner sets up the story perfectly, and is mostly faithful to the book’s opening. We see a fast rising metal cage, and then Thomas on the ground, hacking and trying to stand* (In the book he begins his new life already “standing up,” which seems a curious choice to me now—is it a meant to be a defining character trait or some intent on the part of the creators?). Confused and afraid, he yells out for help. In a jump scare new to the film, he’s startled by the low snarl of some porcine beast—readers will know it as just a pig along for the monthly supply run. The cage opens to bright light, slowly revealing the other young, Henley-wearing males awaiting, and soon taunting, their newest recruit in The Glade. After helping him out of “the box,” a terrified but defiant Thomas takes a fitting departure from the book—he runs. “We have a runner!” someone shouts, right as Thomas loses his footing and falls hard. He begins to stand and then slowly looks around, seeing for the first time as we do, the four imposing walls the surround him and his new home. Then bang, title credit. It’s a good start. THE CAST: It’s easy to want to underplay the casting of one of the stars of a hit MTV show for a movie based on a popular YA novel, but Dylan O’Brien was a real find for the roll of Thomas. Possessing a rare emotional depth, he did an amazing job conveying the character’s confusion and fear but you also easily buy him as a natural leader. His scenes with Chuck are heartbreaking. The rest of the cast is also impressively solid. All of the characters in the book are accounted for, though Zart and Frypan The book’s general character descriptions match up surprisingly well with most of the main actors cast. Aside from Chuck (Blake Cooper), who you always knew would stay “short and pudgy,” Alby (Ami Ameen) is “dark-skinned,” Minho (Ki Hong Lee) is Asian, and Newt (Thomas Brodie-Sangster) is taller than Alby but looks younger and has an accent—in this case, British. So there’s definitely a respect for the book early on. Gally (Will Poulter) doesn’t have black hair and a “nose like a potato,” but with his high arching eyebrows and beady eyes, he easily looks the part of the bully you want to punch in the face. But departing from the more villainous caricature in the book, the actor manages to make Gally sympathetic, a realist who has legitimate suspicions of Thomas and who insists on abiding by the rules of the Glade. As the only girl in the Glade, Teresa (Kaya Scodelario) is fittingly beautiful, although her dark features are similar enough to Thomas’s, that along with the known telepathic connection that was dropped from the film, makes me wonder if maybe they’re siblings. We’ll have to wait for the rest of the series to know for sure. 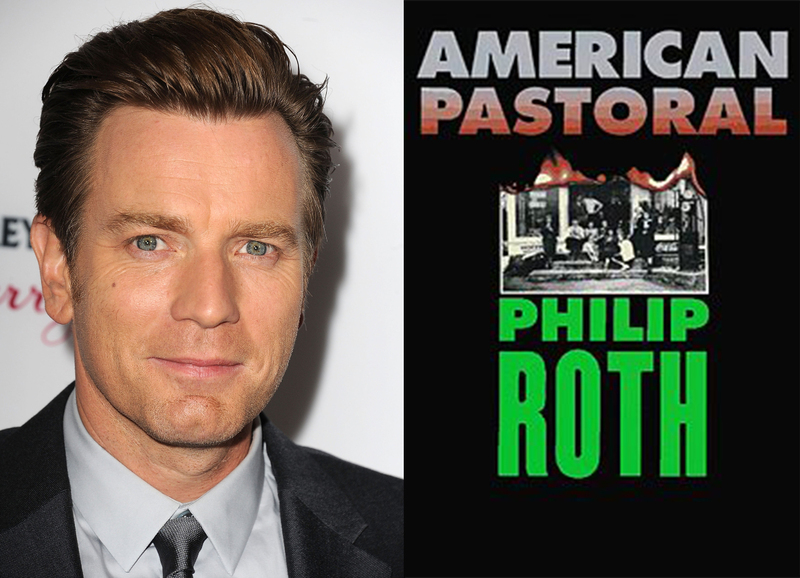 Ewan McGregor’s first film as a director will be an adaption of Philip Roth’s Pulitzer Prize-winning 1997 novel, American Pastoral. McGregor will also star, playing Seymour “Swede” Levov, a successful, middle-aged businessmen whose perfect life is shattered during the social and political upheaval of the 1960s. Jennifer Connelly will play Levov’s wife, Dawn, and Dakota Fanning his idealistic daughter, Merry, whose rebellious actions in protest to the Vietnam War end in tragedy. 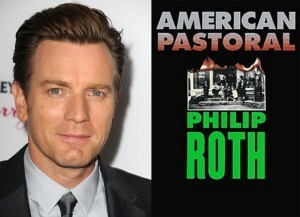 The script is by John Romano, who wrote the adaptation of Michael Connelly’s novel, The Lincoln Lawyer. Interestingly, Romano was a writer and consulting producer for the 2002-2005 television series, American Dreams, which also followed the impact of the turbulent 1960s on a conventional American family. He was 20-years old in 1968, so there’s no doubt he knows this era really well. Although none of the eight films that are up for an Academy Award for Best Picture this year are based on novels, Wes Anderson’s The Grand Budapest Hotel owes a debt to the writings of Austrian novelist Stefan Zweig. 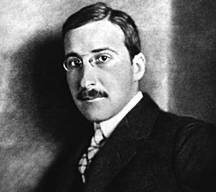 Anderson freely admits to having “stole” parts of Zweig’s novels Beware of the Pity and The Post-Office Girl, as well as from the author’s own life. 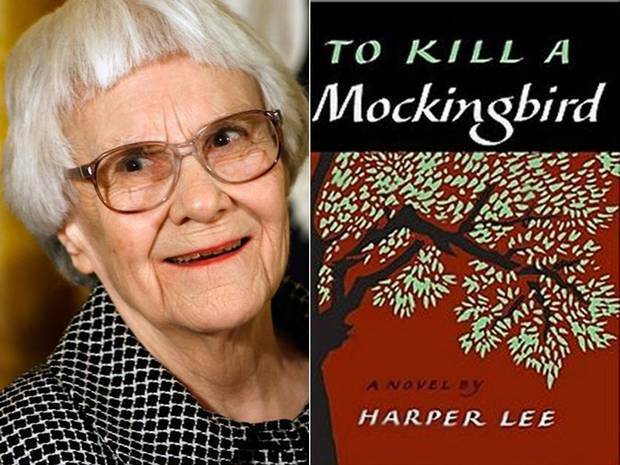 There’s been a lot of excitement and skepticism following the stunning news that HarperCollins will publish a new book by Harper Lee, a sequel to her beloved, and until a week ago, only novel, To Kill a Mockingbird. The book, titled Go Set a Watchman, will be published in July, and continues the story of Scout and Atticus Finch some 20 years after the events of Mockingbird. It’s set during the racial tensions of 1950s, as an adult Scout, living now in New York, returns home to Maycomb, Alabama to visit her father, Atticus. The discovery of this lost literary treasure–written before Mockingbird and found hidden away in a box almost 60 years later—should be celebrated, not just by everyone who has ever read To Kill a Mockingbird or seen the 1960 film, but by, well, everyone. 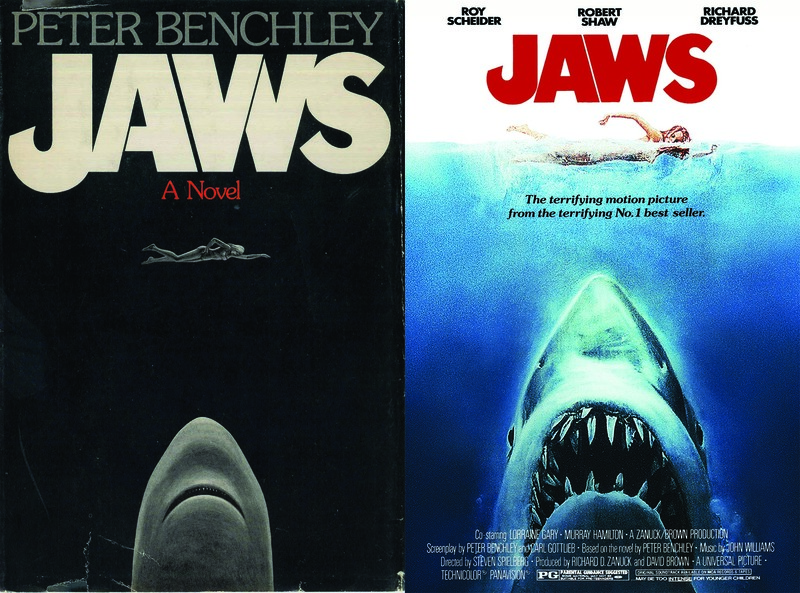 The film has more bite.